Lunch Plus One is something to do for a simple outing with a friend or two or a relative. For Fall, Lunch Plus One combines a Christmas extravaganza and a scrumptious Southern-style lunch all under one roof. For this excursion, I recommend doing your browsing and shopping before lunch. After lunch, you will be ready for a nap. If you haven’t yet made it a Christmas holiday tradition to take the short drive to Shelbyville to visit Wakefield-Scearce Galleries, this is the year to begin. 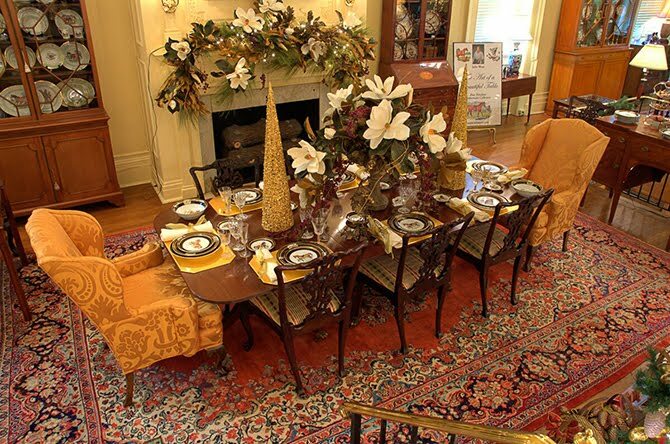 A trip to the galleries is a pleasant excursion at any time, but during the holidays the twinkling lights and elegant decor are especially attractive. 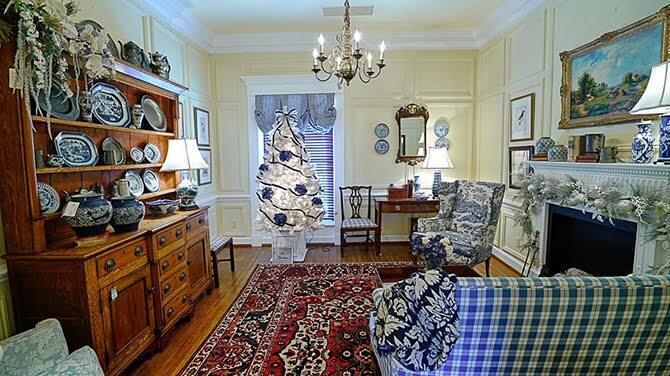 Located in a former girls’ college preparatory school, the rooms in the main gallery and the courtyard shops are filled with English antique furniture, silver, fine oil paintings, jewelry, and accessories. There is also a garden shop and a children’s boutique. Beginning November 8, the gallery will hold its four-day open house. From then on, all the rooms will bedazzle with fully decorated, themed Christmas trees that will appeal to everyone. Whether your interest is in musical instruments, nature, or horses, there is bound to be at least one tree of the more than 30 to inspire. The newly renovated Georgian Room at Science Hill Inn is located off Wakefield-Scearce's interior courtyard. 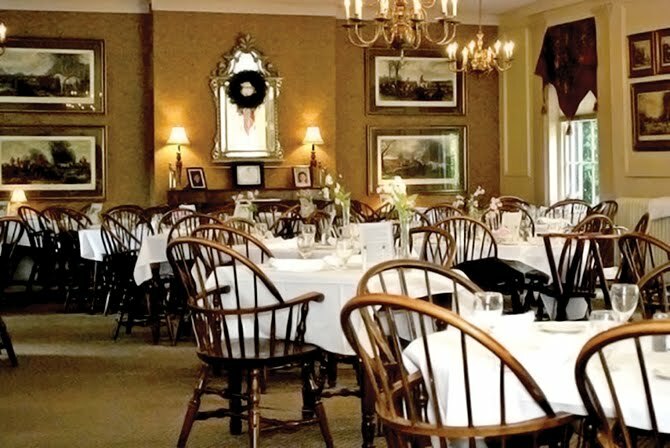 This elegant luncheon spot never fails to deliver delicious Southern-style cuisine. Always a treat after shopping the antique and gift galleries. The traditional fried chicken or shrimp and grits will surely satisfy any appetite. Save room for dessert — bread pudding with bourbon sauce. A great way to enjoy the holidays. Call 502.512.3663 for reservations or go here.